​Welcome to our Technology portal for student production and enrichment! Pinecroft has developed a plan for integrating technology into the curriculum, with the goal of enriching the existing curricula and supporting engaged and meaningful learning for our students in all grades. ​Our evolving technology program is based on input from educators, parents and community members with technological expertise, who regularly assesses our changing needs. 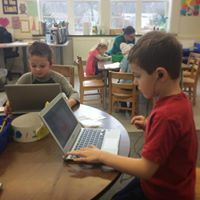 Financial support for our program, which includes a growing supply of Chromebooks for each student’s use, has come from generous family donations and funds raised by our Parent Community Group. Together, we work to provide an environment where students and teachers engage in a quality academic program supported by the meaningful use of technology. ​Our teachers integrate computer use into the teaching process to engage and motivate students to become active participants in their education. 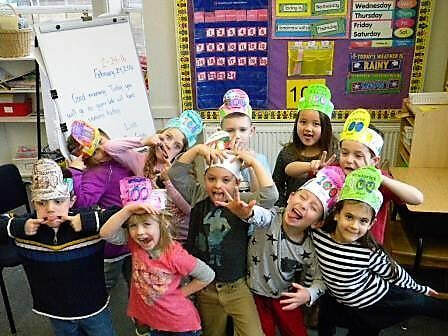 Students learn to use the internet (KidRex Safe Search) for research, as well as Google Docs and other educational software and sites such as XtraMath, Khan Academy and Spelling City. Internet safety is addressed and reinforced beginning in kindergarten.